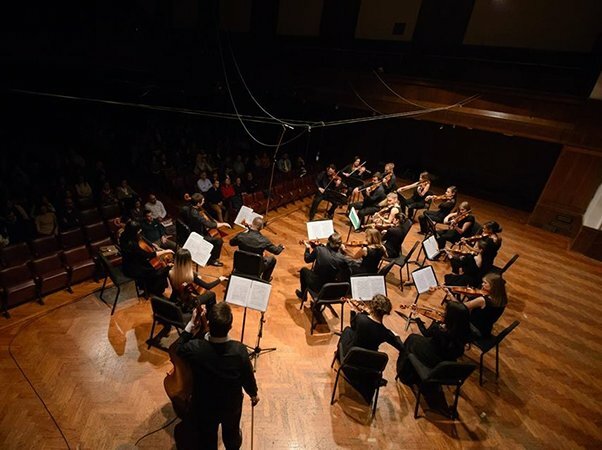 Chamber Orchestra of the music, the 14th of June in the Great Hall of the Belgrade Youth Center to perform a concert dedicated to the creative work of Leonard Bernstein and composer who influenced his work and established him as one of the most prominent figures in the 20th century. American composer, conductor and teacher Leonard Bernstein his work opened the door to classical music all over the world, creating an inexhaustible legacy for all its fans - the importance of his work is the subject of research for decades, but much remains topics and for generations to come. This concert pays homage original and unusual personalities who for years represented and promoted the greatest achievements of classical music around the world. Tickets are on sale at the box office DOB, at a price of 300 dinars.